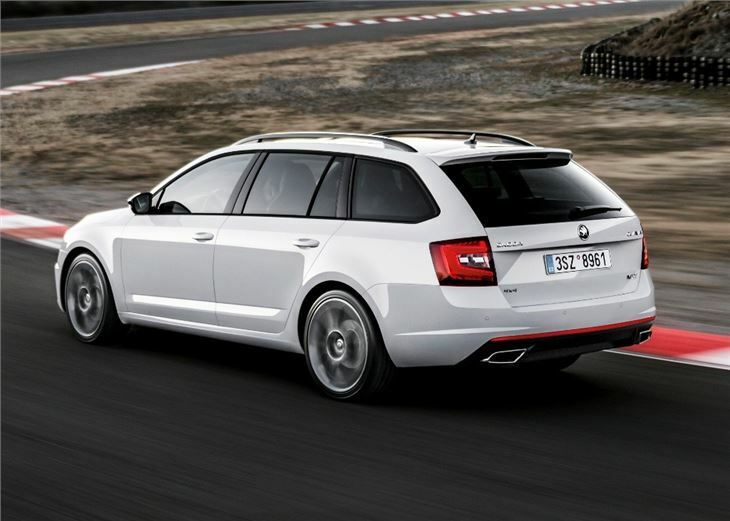 Skoda has announced a range of updates for the Octavia. Both the hatchback and estate are reworked for 2017, with improved comfort, new driver assistance systems and more potent vRS models. 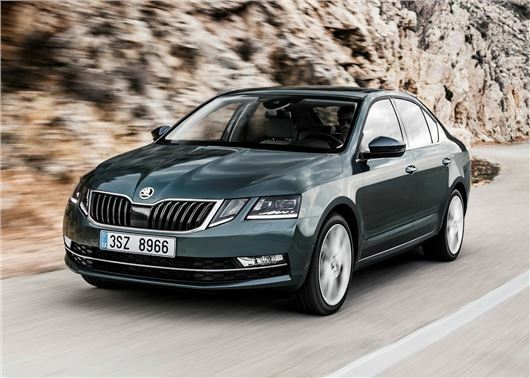 The 2017 Skoda Octavia should reach showrooms in March, with prices starting from £17,000. 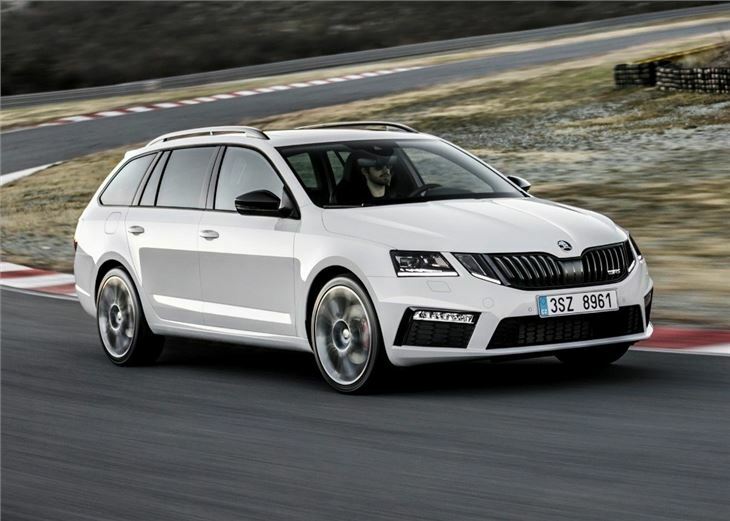 Skoda calls the revisions “major”, but the Octavia doesn’t look massively different from the old car, although the front has been revised with a new split headlight design. Under the metal there are some important changes, with more autonomous safety kit, a new infotainment system and better seats - although it isn’t clear at this stage what is fitted as standard. There is improved autonomous emergency braking, along with blind spot detection and rear traffic alert to help when driving on the motorway and backing out of a driveway or parking space. If you fit a towbar then you can specify an enhanced version of Skoda's Trailer Assist system, which should make it easier to reverse a caravan or trailer, with the autonomous system steering the car while you control the throttle and brake. The petrol range starts with the 115PS 1.0-litre TSI, while the 150PS 1.4-litre TSI is expected to make up the majority of petrol cars. Diesel options include the 115PS 1.6-litre TDI and the 150PS 2.0-litre TDI, which will be the most popular diesel. Six speed manual gearboxes will be standard, although automatic and four-wheel drive will be available as a paid-for option. 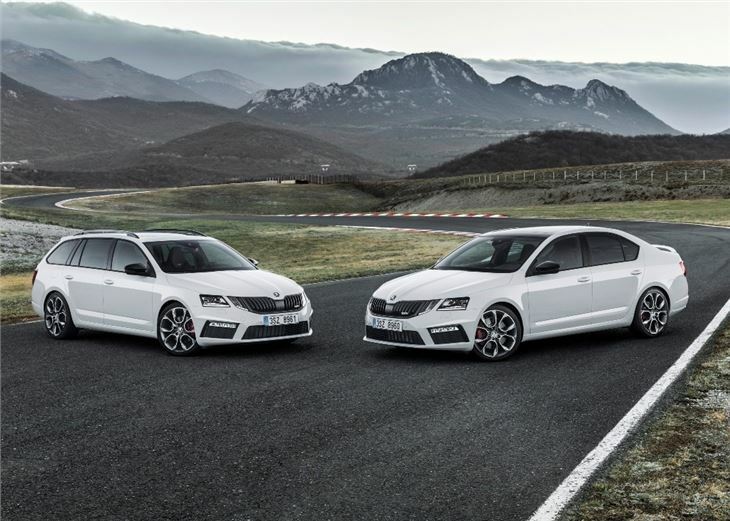 The performance-focused vRS models are updated, with a more powerful 230PS 2.0 TSI engine (an increase of 10PS) while the 2.0 TDI remains unchanged with 184PS but gets improved economy. Skoda hasn't released much in the way of fuel economy ratings, but expect the 2.0 TDI vRS to return the same as before - an official 64.2mpg. High spec models now get a large 9.2-inch infotainment screen, which is similar in size to a tablet computer, plus it comes with the option of a built-in SIM, providing portable WiFi. 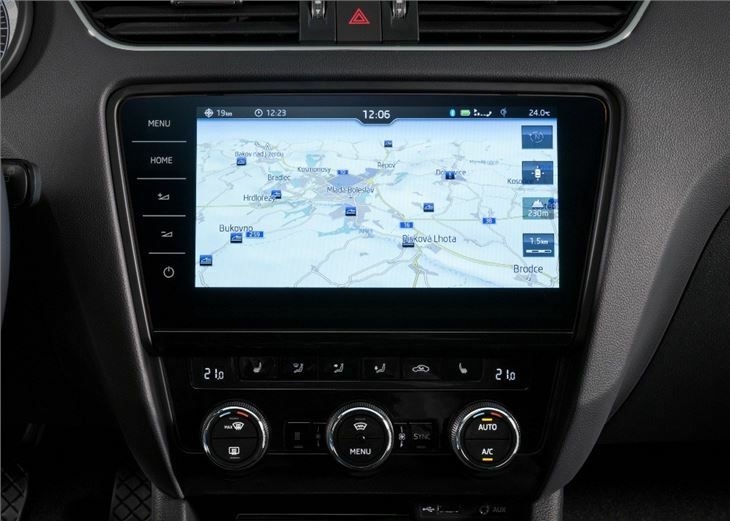 It’ll also feature smartphone connectivity via Apple CarPlay and Android Auto. As before, the hatchback will offer space for up to five adults, while the boot measures 590 litres. The estate version extends boot space to 610 litres, although this can be expanded to a considerable 1740 litres with the rear seats folded. 62.8 mpg from a 230 ps petrol engine? Really?